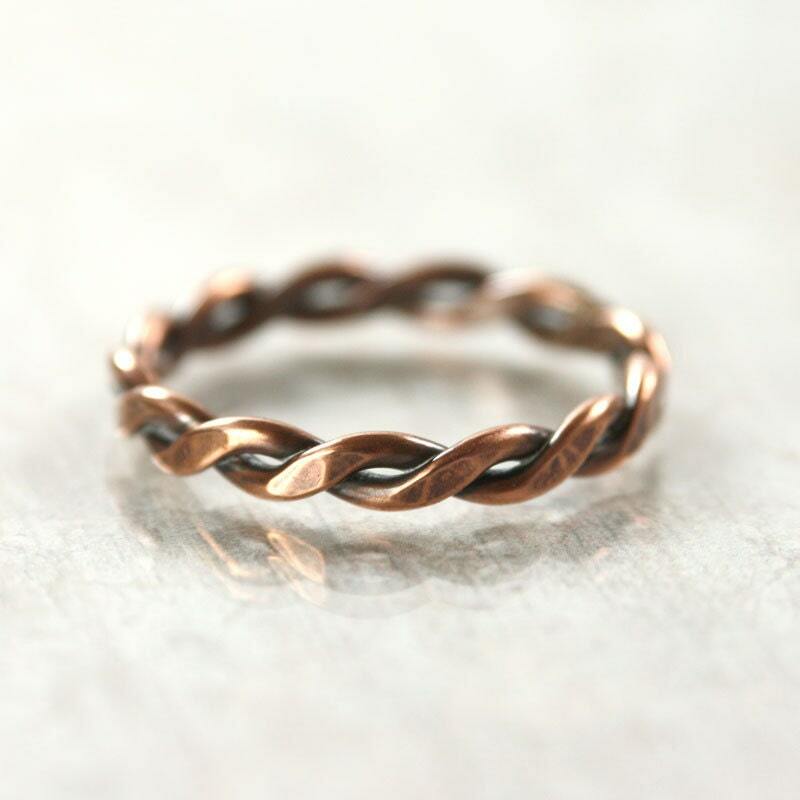 Perfect ring for your man or anyone who likes chunky jewelry. 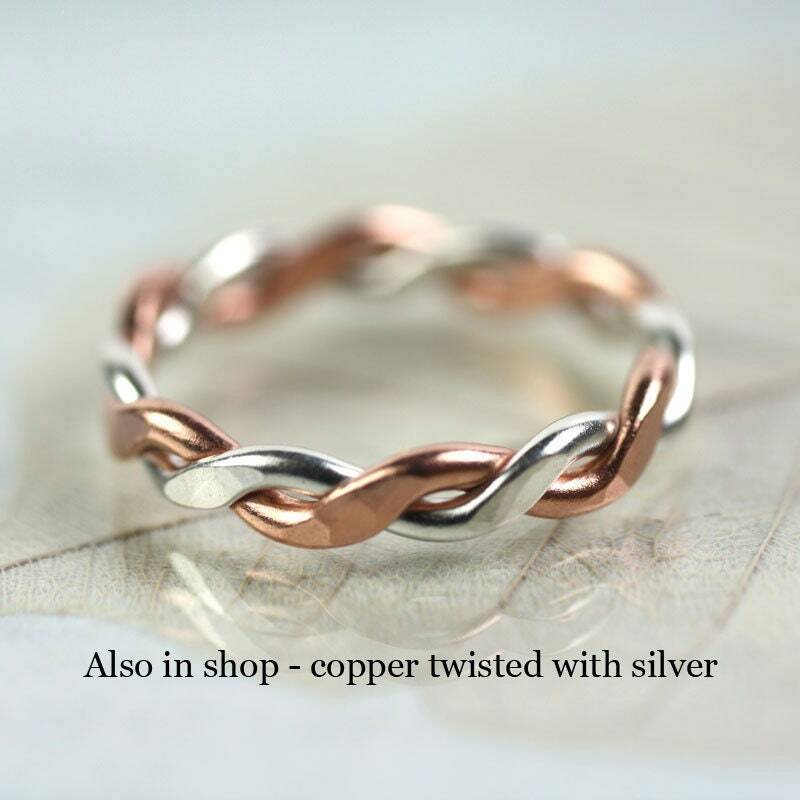 This heavy copper ring is made from two twisted solid copper wires hand forged in your size. I have hammered the wire, flattening it to make the twist stand out more and to make it more comfortable to wear. The ring is substantial and has a good weight to it. 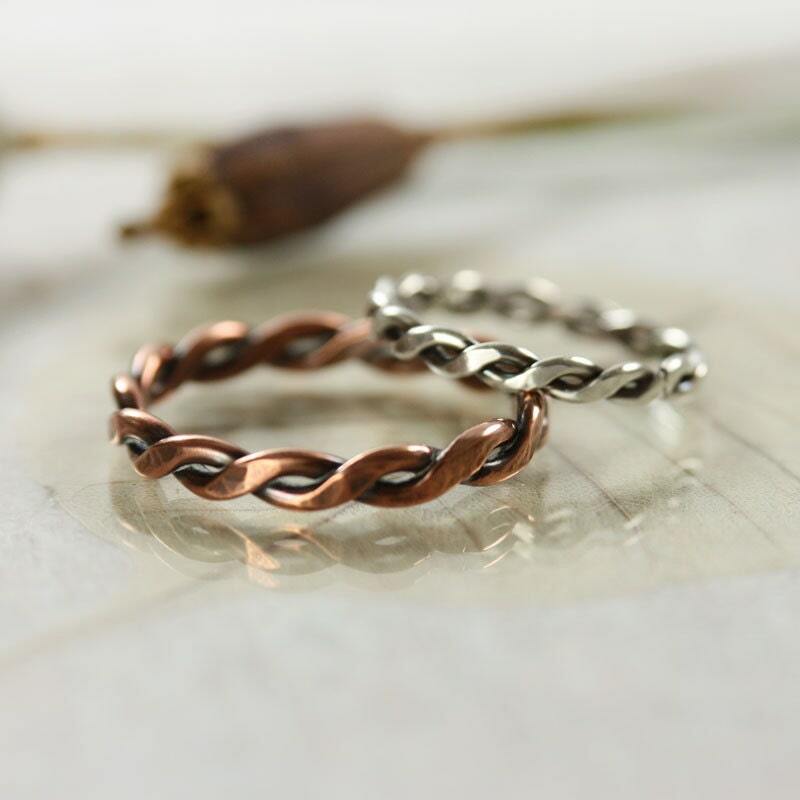 I have oxidized it to bring out the Celtic look and to make it look even more rustic. Please don't forget to let me know which size you need in the note to seller on check out. 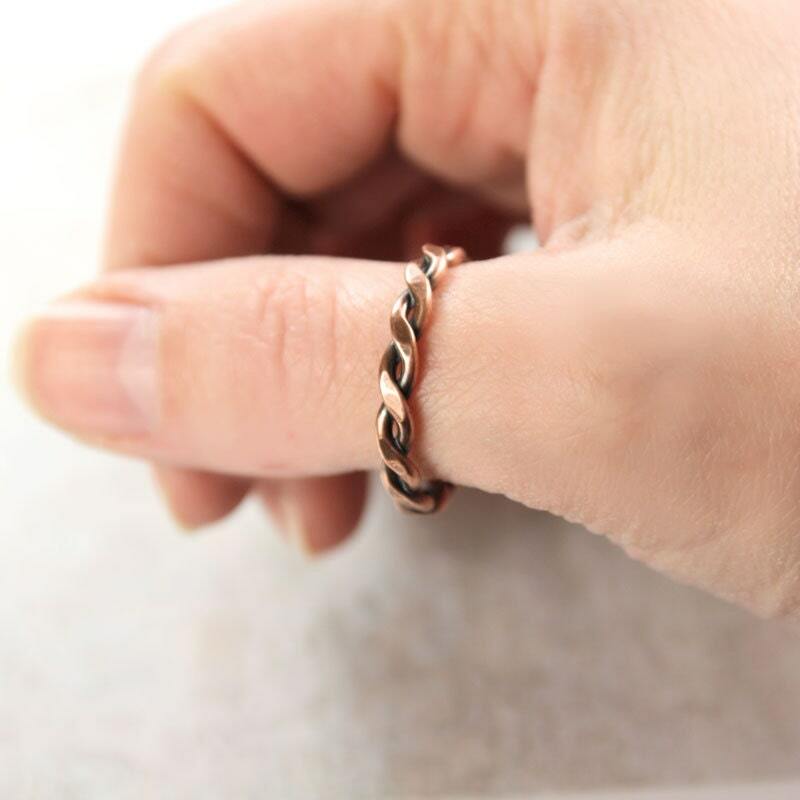 If you don't know your size, just measure the inner diameter of a ring you already have or find the circumference of the finger with a piece of string and write it in the note to seller on check out. This arrived very promptly exactly as ordered. 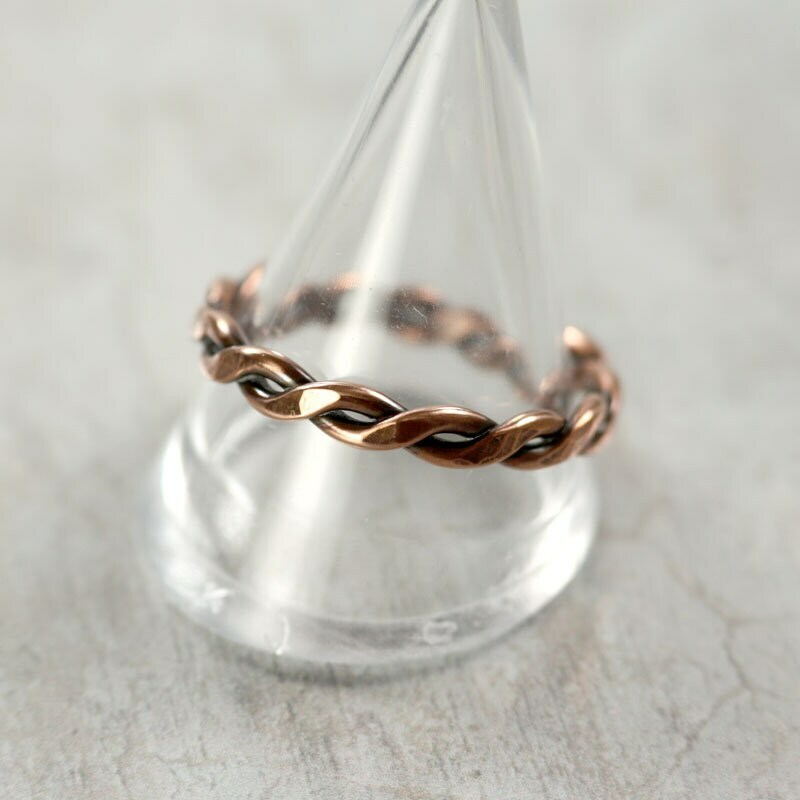 The ring is really beautiful and I really like the faceted look the copper has from being hammered. I've been wearing it quite often as well as another ring I bought from Sycamoon. Thanks Nana!! Beautiful ring, would buy from this designer again. Perfect fit, beautiful ring! Worth the wait!